Valentine’s Day is one of the most popular days for a couple to become engaged to be married. Our jewelry experts have selected the most romantic engagement ring settings that would be perfect for a Valentine’s Day proposal. These engagement rings evoke feelings of love and enchantment. Rose gold engagement rings are beautiful options for any proposal, especially during Valentine’s Day. Rose gold engagement rings are alluring, especially this heart shaped engagement ring. The warm hue of the rose gold pairs flawlessly with white diamonds and creates a stunning combination that would take any woman’s breath away. 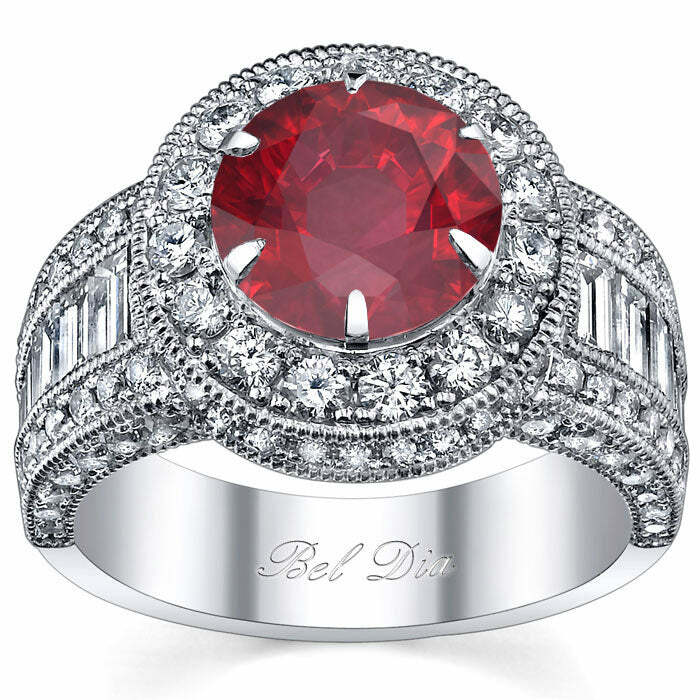 Ruby engagement rings are incredibly rare. Gemstone engagement rings, especially a pink sapphire or ruby engagement ring would be lovely to present to the woman that you love on Valentine’s Day. Gemstone engagement rings are becoming more popular because of their unique color and rarity. They are also a refreshing change if your beloved enjoys a vibrant pop of color and values an eclectic sense of style. A solitaire engagement ring is the most popular choice. We can modify any setting to fit your desired shape and size stone. If your sweetheart prefers classic designs, one cannot go wrong with a solitaire engagement ring. 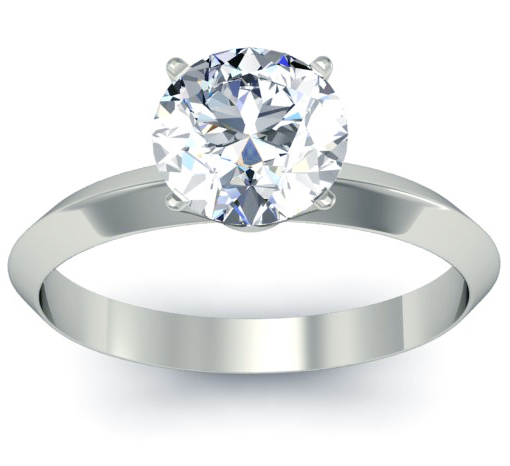 Solitaire engagement rings can be set with the size and shape center stone of your choice. If you do not already have a center stone, our team of GIA graduate gemologists would love to assist you in finding the perfect diamond or gemstone that fits your needs as well as your budget.